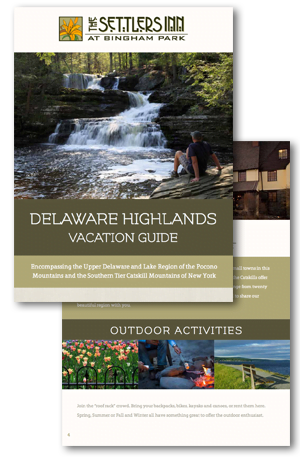 Request Your Delaware Highlands Vacation Guide! downloading our free guide to the area! The Delaware Highlands has so many things to do for a romantic getaway, a family vacation or even a trip for “me time”, and we want to share our suggestions with you!